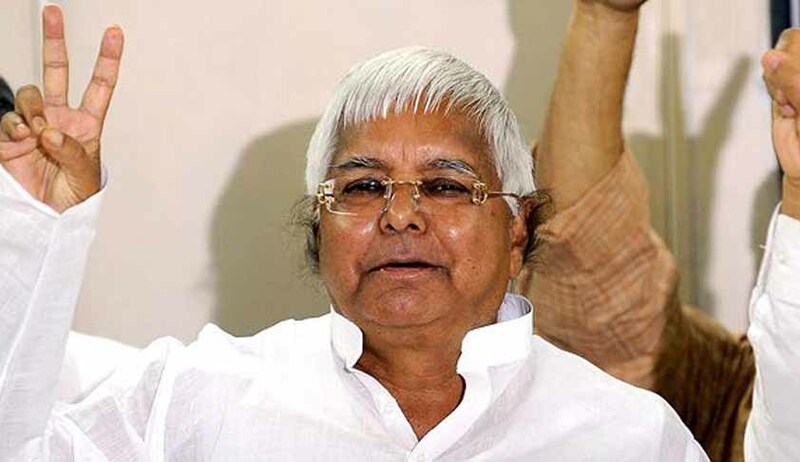 Former Central Minister and Rashtriya Janata Dal chief, Laloo Prasad Yadav has been sentenced to five years in the fodder scam. Yadav has also been slapped a fine of Rs 25 Lakh. Yadav faces immediate disqualification as a Lok Sabha member. As per the Supreme Court order in Lily Thomas case, an MP or legislator will stand disqualified immediately if convicted by a court for crimes with punishment of two years or more. Along with Yadav, former Bihar Chief Minister Jagannath Mishra has been senteced to four years in jail. A Special CBI Court in Ranchi has found Yadav guilty of corruption and criminal conspiracy in the fodder scam, which came to light in 1996. Yadav had been charged with embezzling state funds intended to be spent on cattle fodder while he was chief minister of Bihar. Special CBI judge Pravas Kumar Singh had delivered the sentence today after the conviction was announced on September 30th, 2013. In the wake of Rahul Gandhi’s open criticism against the ordinance to protect convicted law makers, the Union Cabinet has dropped both the Ordinance and the Bill. Congress Rajya Sabha member, Rasheed Masood and Rashtriya Janata Dal chief, Laloo Prasad Yadav are the first two persons to be affected by the non passage of the ordinance to protect convicted law makers. Masood is involved the MBBS scam case, while Yadav is involved in the multi-crore fodder scam case. Statistics reveal that, as many as 72 sitting MPs face criminal charges and could be disqualified if convicted for over two years. Among these, eighteen are from the Bharatiya Janata Party and fourteen from the Congress. Eight from Samajwadi Party, six from Bahujan Samaj Party, four from AIADMK , three from Janata Dal-United and two are from the Communist Party of India-Marxist. The remaining seventeen belong to smaller parties. Further the statistics also reveal that in the elections (including 2009 Lok Sabha and assembly polls since 2008) of the 4,807 elected members (MPs and state legislators), 1,460 (30 percent) have declared criminal cases against them. Out of these, 688 (14 percent) face serious criminal cases.